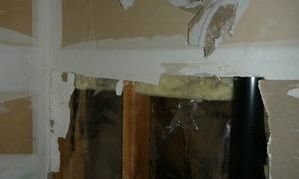 Water damage restoration comes in many forms from 911 Restoration Miami, especially in Hialeah, Florida. Our water damage restoration Hialeah crew has many years of experience working on pipe bursts, rain leaks, and the worst challenges a hurricane could throw at us. Living in Hialeah offers amazing views, weather, and opportunities for fun. However, the weather can turn against you at any time. Beyond his capacity to be at the scene of a water intrusion rapidly, and with the most talented extraction specialists and water damage Hialeah technicians, we will also arrive with all the latest suction and drying technology to completely eliminate the water, the moisture and the chances of mold growth from taking hold. It is important to our water damage restoration Hialeah techs that we are able to get involved in the community and help the people living in it when they need us the most. We know that finding yourself ankle deep in floodwaters in your household is not the best feeling, and we want to be there to reassure you that everything is going to be okay. We make sure to always put the customer first in every situation. Our technicians can always find you and affordable price. Teams are IICRC certified to handle anything promptly. 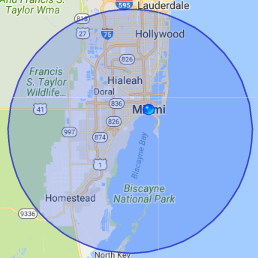 When our water damage restoration Hialeah experts perform our services, we make sure to provide our customers with water removal techniques to the highest quality standards that reflect the glory of Hialeah. When it does, be sure to contact 911 Restoration to bolster your property against such catastrophes and we will provide you with a fresh start, leaving your home in better shape than ever. Two of our most recent water damage restoration Hialeah jobs have been from a pipe burst. In a state known for its rain, we stay prepared and protected against such damage. Few people think about the other possible issues, including plumbing malfunction, appliance failure, and toilet overflows. One recent job was caused by a pipe burst in the bathroom. It ended up flooding half the customer’s house. Because he had real wood floors, not laminated ones, he needed our help before the moisture soaked too deep into the materials. It is important to learn from each disaster. In this case, the customer had been gardening. When he came inside after the hard work, he found half his home under water. An unrestricted water incident can turn into an entire home loss within minutes. Our water damage Hialeah workers will go to great lengths to make sure your wellbeing is being cared for throughout this process. We understand that when water has intruded your home it can be a very overwhelming situation, and we are mindful of that when we are in your home and will always to treat your place as if it were our own. Luckily, this customer had homeowner’s insurance and flood insurance, so the job was completely covered. We worked with his insurance company and provided him with the perfect home, turning this negative situation into a positive. In order to make things easier, our water damage Hialeah professionals will work both quickly, but also efficiently, because we understand that in situations where you have been displaced from your home, all you want is to be back inside the house that you know and love. In a separate incident, a team working for FPL dug a little too deep and severed a main water line. They called our water damage restoration Hialeah operatives without a moment’s hesitation. We were there to scope the entirety of the damage, turn off the water, and start the cleanup. It was a major job affecting an entire street. Standing water and a geyser were the highlights of this restoration job. Despite everything standing against us, our water damage restoration Hialeah technicians persevered. With the latest drying technology and thorough IICRC training, we were the best crew for the job. The fresh start attitude we bring to every job site turns all the problems into solutions. Call our water damage Hialeah extraction specialists with 911 Restoration Miami when your home or office needs expert water damage restoration services, and we’ll be there to help you today!